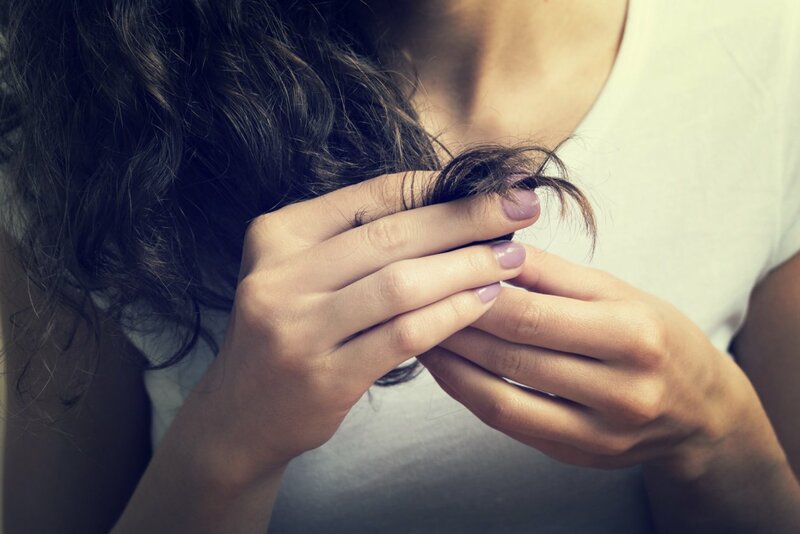 Split hair ends is common problem for many women. If you want to know how to treat your hair in order to prevent split hair ends, keep reading. Split hair ends look unhealthy, thin and give the impression that hair have stopped to grow. If you want to grow long hair, cutting of split hair ends may be a difficult, but necessary step. If you will cut your hair ends time by time, they will look better. So, what to do to prevent split hair ends? 1. Regular hair cutting. Hair should be cut every two to three months. Do it even if you are trying to grow long hair. It is sufficient to cut few centimetres – a couple of centimetres will not change the length of hair, but will make the hair look healthier and more cared. 2. Do not wash your hair every day – allow them to relax. Washing with shampoo, the natural layer of fat on hair is removed, but it protects the hair, therefore too frequent hair washing is bad for your hair. Use the shampoo for scalp and hair roots, but conditioner should be used only for hair ends. Wash your hair every second or third day. 3. Before the usage of hair-dryer or hair-straightener always use some products that could protect your hair against the heat. It is necessary, because it protects the hair against damages of excess heat. Whenever it is possible, avoid blow-drying and straightening. 4. The less chemicals, the better. If you do not want your hair to split, they have to be healthy. If you dye your hair, choose the safest hair colour. Hair can also be coloured in a natural way – with henna. 5. Do not forget about hair masks. If your hair is prone to splitting, they need special care and nourishment. It is recommended to use high quality hair masks once a week. 6. Hair must be handled gently. One of the biggest mistakes – after hair washing hair are tousled with the towel so that they are dry. Instead, after hair washing wrap your hair into towel and gently squeeze them so that they dry by themselves. Also hair combing should be done very careful – do not tear and pull your hair, but gently comb them from top to bottom, starting with the ends and finishing with the roots. 7. Choose hair accessories carefully. It is not recommended to use buckles, where the metal part touches the hair, very thin hair bands, which severely squeezes the hair. In this way the hair can break not only at the ends.